Raleigh is a Sales Coordinator for the Online and Digital Sales team. He likes when a book can surprise him, frighten him, or change how he thinks. To kick off the season of giving while also celebrating National Family Literacy Month in November, zulily, the online retailer obsessed with bringing special finds to its customers every day, is teaming up with Penguin Random House to help provide books to children in need across the U.S.
Zulily is leading its third annual holiday giving campaign, launched November 1 and planned through December 12, 2018. 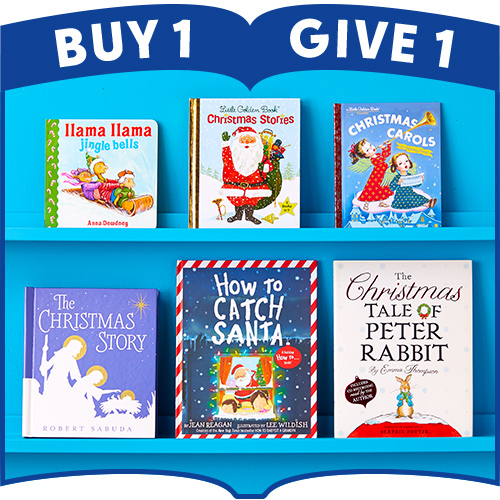 Special sales events during the campaign will feature a curated selection of children’s books and each Penguin Random House book purchased labeled with the “BUY 1, GIVE 1” badge will trigger a new children’s book donation, up to 100,000 books, from Penguin Random House to First Book, a nonprofit social enterprise that provides new books and other essentials to children in need nationwide. Visit here for full campaign details. Leigh Marchant is SVP, Director of Marketing and Business Development at Random House. Amazon.com announced its selections for the Best Books of 2018, naming Tara Westover’s Educated (Random House) the #1 pick for best book of 2018 and Kekla Magoon’s The Season of Styx Malone (Wendy Lamb Books) the editor’s pick for best book in the children’s category. Amazon’s annual list features the Top 100 books of the year plus Top 20 lists across various categories ranging from biography, literary fiction, and mystery to children’s and young adult. 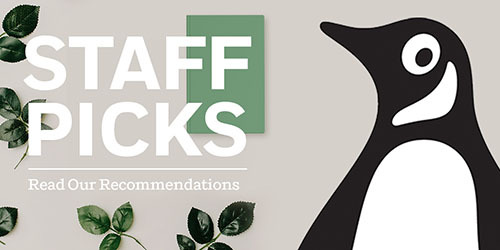 All lists are hand-selected by Amazon’s team of editors—first by choosing the best books of every month and then, finally, the best books of the year. To see the full lists of Amazon’s Best Books of 2018, click here. The Amazon Editorial Team’s Top 10 Picks of 2018 list also includes Esi Edugyan’s Washington Black (Knopf), Francisco Cantú’s The Line Becomes a River (Riverhead), and Tommy Orange’s There There (Knopf). Every writer is asked, “Where do you get your ideas?” Writers create people and worlds in a way that hints of magic, making things seemingly real that didn’t exist before. This mystery intrigues readers, who enjoy the final result but wonder how it came about. I suspect every writer has his or her own pathway to creation. One of the best explanations I ever read, and the one that comes closest to what happens to me, was described by C.S. Forster (author of the Horatio Hornblower novels) in his autobiography Long Before Forty. He said various random ideas would come to him, some stronger than others. He would let them rest — he compared it to sinking a log into water and then pulling it up later to see if moss was growing on it. If there was, it was a viable idea. Readers, editors, and friends often make suggestions; those are treated to the ‘log submersion’ test; sometimes these bear fruit and sometimes not. My Nero novel came about from a casual question at dinner: “Have you ever thought about the emperor Nero?” My Henry VIII novel came from a trip I made to Hampton Court, where I was struck with the realization that everyone knew about Anne Boleyn but few knew about his fifth wife, Catherine Howard. My Helen of Troy novel came about because I wanted to see what it would be like to be the most beautiful woman in the world. Ideas and inspirations can come from all quarters; they come best when I am not actively searching for them. Ray Bradbury said all writers should write a thousand words a day. That seems a little extreme to me — that’s about five pages. But I do think the better advice is ‘keep the pilot light lit.’ You should write something on your project every day just to sustain it in your mind, to keep it alive. Email and Facebook don’t count. If you really want to be superstitious about it, make sure to write at least a paragraph on your work on New Year’s Day because the folklore is that whatever you do on New Year’s Day you will continue to do all year long. Conversely, whatever you don’t do, you won’t do all year long. It helps to keep a log of when you wrote and how much you wrote; otherwise you forget and in planning a new project, you tend to overestimate the amount you actually can do at a reasonable pace. I can normally do about twenty-five pages a week. That’s one hundred pages a month. Others, of course, can write more or less. Drafts — ah, drafts! That’s such an individual choice. Some people write best what they write first, and subsequent drafts get paler and paler and dwindle away in power. Other people write sprawling first drafts that have to be corralled and pounded into shape. The only rule is, please know which category you are in! Ideally some time should elapse before you start editing your work. Let it sit — this is sometimes called ‘the icebox method.’ Then you can read it in a more detached manner. Some people — like me — have a hard time editing their own work. I see it from the beginning as if it is a fixed thing rather than still in progress. (Along the same line, I have trouble visualizing the furniture in a room in any other arrangement.) If you have this problem, enlist the help of a friend whose reading tastes are like yours. The first feedback I get tends to make me nervous, but apparently even Stephen King suffers from this, as he awaits his wife’s first read-through. It is the first time anyone has seen our ‘darling’ besides us, and of course to us she is beautiful, but what if she isn’t to anyone else? This is as good a time as any for me to say I have heard the advice ‘read through your manuscript and every time you see a phrase that is fine and lovely, strike it through.’ That seems silly to me — why shouldn’t it be fine and lovely? You are not writing a newspaper, but a work of art. Would you follow the advice to open your closet and take your most flattering clothes out, leaving only the dull ones? Finally, the most useful advice I can give is to develop the ability to sit still and see a project through, and to ruthlessly avoid the distractions that can derail the project. It is hard — it feels like entering a monastery sometimes, but in the end you will thank yourself. This interview was done at New York Comic Con 2018. We caught up with Sylvain Neuvel to discuss the Themis Trilogy, alien languages, and a bit of cosplay. Keith Rice: All right, so Only Human came out in May and it closes out the Themis Files trilogy. How does it feel to be done? Sylvain Neuvel: Weird. It’s very weird. Finishing that book was an emotional moment. There was a lot of crying involved in the last chapters, just knowing that I might never see these characters again. And it’s kind of stupid, because they were there, they will always be there. They’re in the books, they exist. But it was strange, and also Sleeping Giants was my first novel, so I’ve spent my entire writing career in that universe. Getting out of it is a scary thing, though it’s also exciting. SN: Well, originally, I thought it might be more of an open series, but It’s a rarer thing in publishing nowadays to have just a like a real open-ended series like, say, James Bond. SN: And so, well, quickly I figured out it would be a trilogy and I kind of knew how I wanted it to end, so I went for it. KR: Given that do you plan to go back into the world of Themis Files at any point? Is that something you’ve thought about? SN: I would love to someday. There are other things I want to do. I’m working on something now and so it’s nice to take a break and just let the story do its thing. I’m not there [on revisiting Themis Files]. But if people want it, if there’s a demand for it, I’d love to come back to it someday. KR: How would you describe the Themis Files to readers that haven’t had a chance to pick it up yet? SN: It’s a strange one to describe. It’s science fiction but it’s also very grounded, it happens here, and the format is, I think, as important to the experience as the story itself. It’s told in the form of interviews, between a mysterious interviewer and the main characters of the book. So, it’s pretty much three books of nothing but dialogue. It’s a very different reading experience than what most people would be used to. In terms of story it’s like everything I do, it is grounded in science fiction. Book one is a search for giant metal body parts buried underground by an unknown civilization thousands of years ago. And it has a lot to do with first contact, but it’s also an exploration of what it means to be human. Human nature in general, or what makes you you and not me, and identity, and other themes that are very human. So, even though there is alien life involved, it’s very much about us and not them. KR: Your take on aliens was one of the more fascinating aspects for me. They aren’t that different from us. KR: What led you to that? SN: Well, there’s advantages in making aliens closer to us, there’s a reason why, you know, every alien on a TV show, you know has at least two arms and legs, because we can hire an actor to do it. This particular case I wanted them to be among us. So, they had to be hiding in plain sight, it’s kind of difficult if you’re a giant amoeba or big blob of goo. KR: And I know you’re a linguist as well. Do you have any plans to dive into a language for any of your books? SN: Well, Only Human does have some alien language bits in there. KR: True, but I meant on a larger, or I guess more Tolkien-esque scale? SN: Actually, I did write grammar and a lexicon. SN: Well, I know that I’m a freak and I couldn’t just improvise those like ten lines [laughs]. So, I pretty much wrote the whole language just so I could put those two lines in the book. Someday I’d like to share that lexicon and grammar with the world. For example, they could read the dedication at the end of the trilogy, which is in the language. KR: I know you’re a big cosplay fan and we are at NYCC. KR: What’s your favorite or your best costume? One that you’ve put together? SN: That I made? I will say my Grandizer robot costume. It was super fun. KR: I imagine the proportions were a bit tricky on that one. SN: Yeah, I mean, I made a Vader costume that I spent about a year on, but with Vader you have a costuming group, you can go with references online, you can know which actual parts of what were used to make it. It gets tons of references, so you know things basically down to the millimeter. With Grandizer you’re looking at an anime made in the 70’s. If you look at the show, in one scene, you’ll have say, seven spikes on his fist, and in another scene you’ll have nine and in another there’ll be three. Because the guys drawing it, they’re just going super-fast. Plus there were a lot of technical challenges. He has a tiny head, so, I managed to get the proportions better. I realized that with a head so little my costume shoulders are about at my chin level, and I see through the mouth of the robot so the head can be higher, and it makes it more proportional, plus I have to build it from scratch. There’s no references, no nothing. So, it was a lot molding, and sculpting, and fiberglass. It was a lot of fun to make. KR: I’m going to put you on the spot just a little bit. If you had to recommend three novels , three books, for fans of the Themis Files what would they be? SN: Well if you’re in it for the giant robots, Mecha Samurai Empire by Peter Teiryas just came out and it’s actually pretty fantastic. It’s book two of a series, but it’s more of a standalone novel. If you’re in it for the science, because there’s a lot of it in the Themis Files, I really like the The Flicker Men by Ted Kosmatka. It’s based on a simple sci-fi premise, but I really wish I’d come up with it. I was jealous of the idea. It’s a great, great book. Similarly, Quantum Night by Robert Sawyer is another book with tons of science. Sawyer sort of researches everything. He has a bibliography at the end if you want further reading on brainwaves and all sorts of interesting things. The Gone World, by Tom Sweterlitsch, it’s a great book. It’s really a great book. I was kind of wary at first because it involves time travel and it’s not usually my favorite, but it’s so well done, I think everyone should read it. 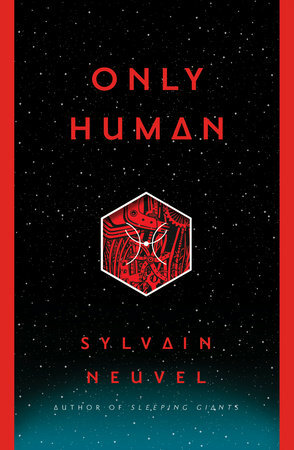 Check out Sylvain Neuvel’s Only Human! As writers, we can be our own worst enemies. We may have dozens of reasons why we are not writing. Sometimes, these barriers may feel insurmountable, but James Clear argues in Atomic Habits that those barriers can be breached through a series of one percent changes to our habits. “The most practical way to change who you are is to change what you do,” he says, and he offers a series of small steps to developing a writing habit. Clear provides methods that help pinpoint those habits that are ineffective, and a large variety of tactics to create effective habits that will change what we do. His book contains clear instructions on how to develop writing as a habit, one that will feel as automatic as brushing your teeth or that first cup of coffee in the morning. Here are five effective habits. Habit #1: In order to encourage inspiration to strike, set up a time to meet with it. James Clear cites a British study that showed that those who write down specific times when they will practice their new habit have the highest success rate. For writers, creating such an “implementation intention” would involve writing down a sentence that looks like this: “I will write for (period of time) at (time of day) at (location).” So, for example, “I will write for 30 minutes at 3 p.m. at the kitchen table.” By sitting down each day at 3, you accustom your brain to this new habit. Once your brain can count on you to keep your new habit, you may find that new ideas and inspiration are waiting for you. 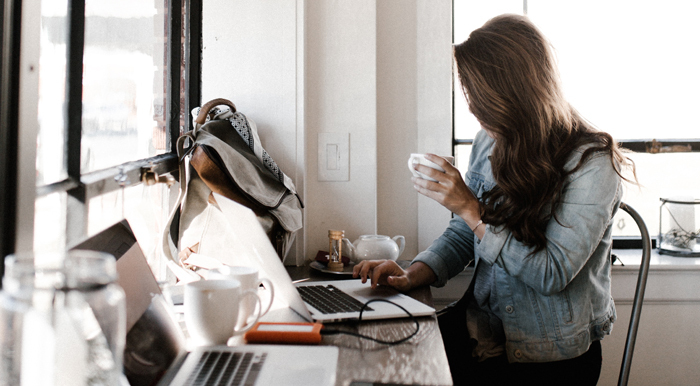 Habit #2: If writing is important to you, create an environment that encourages you to write. Our environment can create barriers to practicing our new habits. If your habit is to sit on the sofa to watch TV, and you had intended to write while sitting on the sofa, then the TV may prove to be too big a temptation. Instead, choose a place to write that isn’t associated with another habit. If you live in a tiny space with few options, then designate a specific place to write. It doesn’t have to be a different room. In a studio apartment, you may decide to use a different chair or to set up a small writing corner. You will attach writing to that particular place, so if you’re in that space, your brain will expect you to write. Environmental clues can be used to help reinforce your new habit. Habit #3: Create temptations that reward you for your new habit of writing. After (current habit), I will (habit I need to develop). After (habit I need to develop), I will (habit I want). After I walk the dog, I will write for 30 minutes. After I write for 30 minutes, I will go on social media. If going on social media has kept you from writing, this creates a system where social media is the reward you use to encourage yourself to write. Habit #4: Make it easy to practice the habit of writing. Wasting time is easy: we carry distractions in our pocket or give it pride of place in our living rooms. If we want to develop the practice of writing, we have to remove barriers to our practice. One way is to prime your environment with cues to your habit. So, if your intention is to write in the morning at the kitchen table, before you go to bed at night, lay out your writing implements —laptop or pen and paper. I take it further by making writing easier all the time: I carry a small notebook in my purse, have one in my car’s glove box, and leave several throughout my house. This way, it’s as easy to write as it is to pick up the phone. Habit #5: Start with the Two-Minute Rule for new habits and continue from there. Maybe you’re afraid that you’ll fail in some way because your committed writing time is too long. Clear suggests creating a ritual and following the Two Minute Rule as a way to prime yourself for your new habit. If your goal is to write at night, you can help to cement the habit into your head by attaching it to a ritual of your choosing, whether that’s a cup of herbal tea or changing into comfy clothes. Each evening, as you engage in the ritual, your brain will anticipate that you are about to sit down and write. Your ritual primes your habit. Next, write for two minutes. If you feel done, stop. Clear argues that two minutes is usually enough to get past any initial resistance. 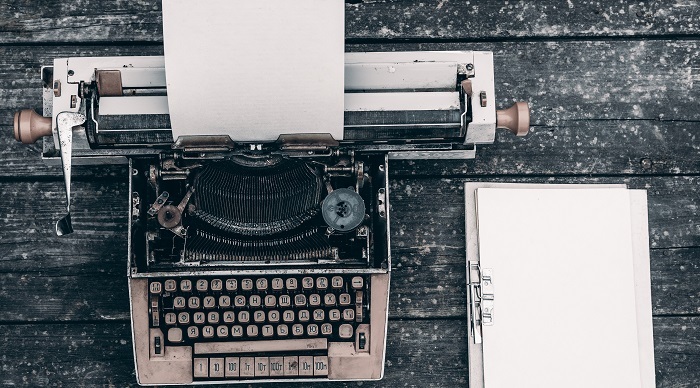 Writing at the table © Andrew Neel/Unsplash. 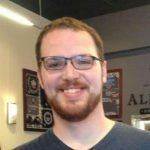 This article was written by Ryder Carroll and originally appeared on Signature Reads. When I was young, I loved looking at ancient astrological maps that seemed more like celestial bestiaries than effective means of navigation. The skies were teeming with terrifying ancient creatures ranging from giant scorpions, to centaurs, to beasts whose names have been long forgotten. Each born from man’s attempt to make sense of the breathtaking chaos of light that revealed itself on the darkest nights. Most cultures developed long elaborate stories that buried their heroes and demons in the stars, all to make some sense of the world around them. If you’ve ever stared up at a night sky, clear of clouds or city lights, you can’t help but architect your own existential explanations just to cope with the shimmering abyss. It’s estimated that each year, 100 billion stars are born and die in the observable universe. That’s 247 million a day! Yet, even in this age of Google Maps, stars continue to serve as a fundamental way to understand our place. Stars have safely guided explorers across the hungry depths of alien oceans for centuries. But how? It all started by jotting down what we saw, one star at a time until it began to make sense. We found patterns, and identified relationships. From centaurs to quasars, each generation refined their knowledge and understanding to better help contextualize the stars as they related to us. Writing can feel very much like setting out on a journey into the unknown. But rather than stars, we’re reliant on the glittering constellation of ideas scattered across the vast darkness of our minds. Buried somewhere up there are parts of all the stories we will ever tell. It’s important that we figure out a way to makes sense of our thoughts, and it starts with cataloging them, one thought at a time. Be it for the next story, or the last, journaling can serve as a form of mental cartography. Your journal can be a mental atlas, which can be referenced as you set sail or when you get lost at sea. Like stars, thoughts can be used as waypoints. Stories are simply sequences of curated thoughts, which are plotted out to guide your audience safely through your tale. Without them, there are only dark shoreless oceans. The beauty of keeping some kind of journal is that it can live in a vacuum. It simply serves as a repository for ideas, waiting to be used. Some are hesitant to journal because they’re only aware of long-form journaling, which can seem time consuming. True, but the process of drawing your ideas out by hand can be an incredibly effective practice to capture and refine your thoughts. 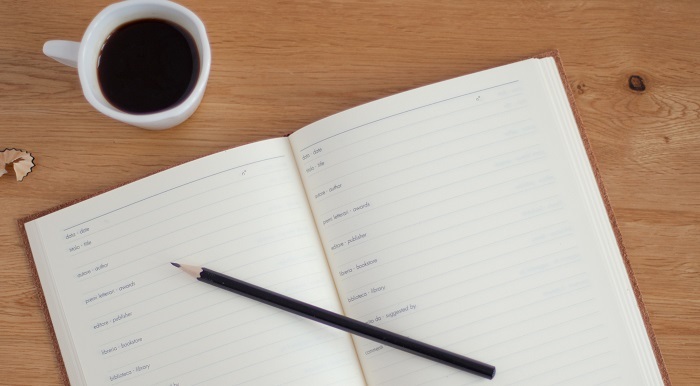 If you’re not convinced it’s worth the effort, short-form journaling is a perfect alternative – or addition to – long-form journaling. In both cases, the point is to cultivate a map of your thoughts and insights. Isn’t there an app for that? Sure, but writing your ideas out by hand will make them seem far more tangible and real. This practice also allows you to capture ideas in all their many forms. A nascent idea could begin as an image or a shape. Notebooks have stood the test of time as the ultimate traps for capturing thoughts, no matter how exotic. Over time, they become maps. Like stars, ideas without maps, no matter how bright, remain meaningless. And, like stars, ideas fade. There really is nothing more frustrating than losing a brilliant thought before you had the chance to find its purpose. Each thought has the promise of functioning as your north star, so be sure you keep track of it. It isn’t clever plot twists or deep character insights or detailed descriptions that draw a reader back again and again to a particular writer — it’s the writer’s voice. Just to make things even more complicated, the truth is that no two people respond to a writer’s voice in exactly the same way. Some readers will never be compelled by your voice. With luck, others will fall in love with it. Voice is hard to define because it’s a mix of so many things — your core values, your world view, your personality, your sense of optimism or cynicism or despair or anger or bitterness or hope — all those things are bound up in your storytelling voice. And then there’s the craft aspect. You can write successfully for your entire career without giving a moment’s thought to your voice. But just as knowing and understanding your core story can be extremely useful at various points in your career, so, too, is having a clear sense of your voice. If you comprehend its strengths and weaknesses, you will be able to figure out how to sharpen it and make it more powerful. How do you identify your writing voice? Here’s a simple exercise: Write a scene from start to finish. It should be a scene that is infused with the emotions, themes, or conflicts that compel you as a writer. It is helpful to think of scenes as short stories. They have a beginning that engages the reader, a middle in which emotional and often physical action takes place, and an endpoint that either resolves the narrative or provides a cliffhanger that leads into the next scene. Did you make your reader’s pulse kick up? Did you arouse curiosity? Anger? Sympathy? Did you scare your reader? Did you make that reader want to know what happens next? Your goal is to identify the single strongest emotion that the reader experienced while reading your scene. That response will help you analyze the strengths and weaknesses of your voice. The worst possible reaction from a reader is no emotional reaction at all. There is nothing that will kill a writing career faster than storytelling that bores the reader. Put the most engaging elements of your voice on display in the very first sentence of your book. Readers will not give you a few pages or a couple of chapters to get the story going. You must draw the reader into your world from the very first sentence, and you do that with your voice. Listen to your writing voice. It will tell you what kinds of stories you will write with the most power. Once you have figured out your voice, do everything you can to strengthen it and make it more compelling. Voice is your superpower. Discover it. This article was written by Keith Rice and originally appeared on Unbound Worlds. We caught up with Katherine Arden at New York Comic Con for a quick chat about how it feels to finish up the Winternight Trilogy, Russian fairy tales, and cupcakes. Unbound Worlds: The Winter of the Witch arrives January 8th — what can you tell us about it? Katherine Arden: Well, it’s the third book in the Winternight Trilogy; it ends the story of Vasilisa Petrovna and her colleagues and relations. It takes place in medieval Russia and, as far as specific plot points, not everyone lives. But it does what I hoped this series would do and it brings Vasilisa from childhood to adulthood. Fully, I think. And that was the most important thing I wanted out of the series, to show the coming of age of this young woman in medieval Russia, and it did. And it was a huge amount of work, and I spent two weeks in a basement to finish it eating only cupcakes. And there were many somewhat angsty calls to my editor in the realm of, like, “It’s not working, it’s not working.” Then it did work and I finished it, and I am so excited to present it to you guys in January. UW: How does it feel to finish up the trilogy? KA: I have mixed feelings. It was huge focus of my life for five years, so letting it go is bittersweet, but I’m also excited to do a non-medieval Russia book. Very excited. And just to have it be over, and to have everyone be able to know what I was planning on doing from start to finish. UW: Did you intend it as a trilogy when you started? KA: I did, although the trilogy that I wrote bears no resemblance to the trilogy that I thought I was going to write however many years ago. Seven now, I think. No resemblance whatsoever. It has the same start point that I intended and the same endpoint. But, the points in between are stranger than I could’ve imagined. I always meant to have it as a trilogy from day one. And I did, so that was good. One point for planner. The only point for planning really. UW: So what peaked your interest in Russia and Russian folklore? You have your degree in Russian, correct? KA: Yeah, in Russian from Middlebury College. I spent a year in Moscow when I was 19, and I went back to Moscow my junior year of college. I’d always loved books based on folklore. I was a huge Robin McKinley fan growing up, and I always loved Russian fairy tales. When I was a kid I had a book of them, illustrated. And then when I was in Russia, one way I learned to speak Russian and to read it was to read fairy tales to myself. And so, I have this kind of background of fairy tales when I started casting about for a book idea. And I was like, oh, I love fairy tale books, I love Russian fairy tales. So a book based on Russian fairy tales just made sense. And then the rest kind of just grew in the telling. UW: Setting the Winternight trilogy in medieval Russia was an interesting choice. What led you to that? KA: Well, at first it was going to be a more fantasy-type setting influenced by Russia. But then it didn’t feel focused and real enough. So, the historical setting, I thought, would ground the fantasy elements, and make them more resonant than just having a sort of abstract fantasy world. I also felt that the medieval Russian setting is not very common in literature, and it would be interesting to show Russia before all the things that we think of as Russian existed. There was no troika or samovars, no tsars, empire, Communism — all those things hadn’t happened yet. I wanted to show the Russia that I’d experienced, free of stereotypes that we have in the West. Part of it was that, was bringing it into a place that was realistic but not weighted with preconceptions. UW: Can you recommend any books on Russian Folklore and mythology for anyone who’s interested in looking into what underpins your trilogy? KA: Absolutely. If you want the master tome, it’d be a book of fairy tales by Alexander Afanasyev. In translation, obviously — they’re written in Russian, but get them translated. It’s a tome of dozens of Russian fairy tales. I would also try Pushkin’s Fairy Tales by A.S. Pushkin. They were written by him, they’re not folklore in the old tradition. But they draw upon oral traditions and they’re very beautiful. I would say Pushkin and Afanasyev are two great go-to’s for Russian Folklore 101. I would also put in the illustrations of Ivan Bilibin, which are incredible sketchings of Russian folklore, like three different fairy tales. UW: Any new projects under way you can tell us about? KA: I’m actually working on something and I’m really excited about. But, I can’t say anything specific right now. There will be news soon, though. 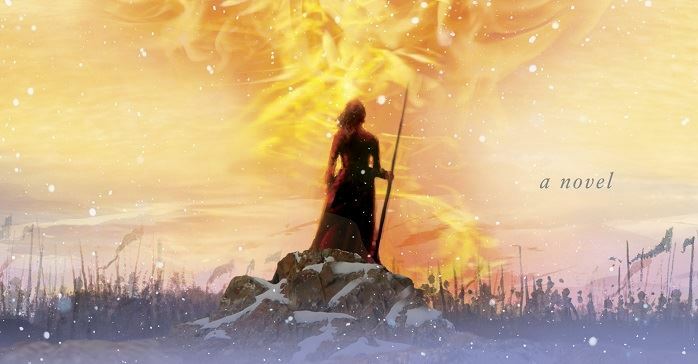 Editor’s note: Want to start at the beginning of The Winternight Trilogy? Grab a copy of The Bear and the Nightingale! If you’re looking for something for a younger audience, be sure to check out Katherine’s new release, Small Spaces — a creepy ghost story for middle grade readers.